Welcome to Quilt-Crazy.com! My name is Cheryl Martel and I am a quilter. I began quilting over 32 years ago, before the invention of rotary cutters and rulers. Over the years as tools evolved so have I. I started out making simple quilts. As my skills improved I ventured into more complicated patterns. I also started teaching quilting. I wanted to pass on the love of quilting and help people realize their dream of making a beautiful quilt. 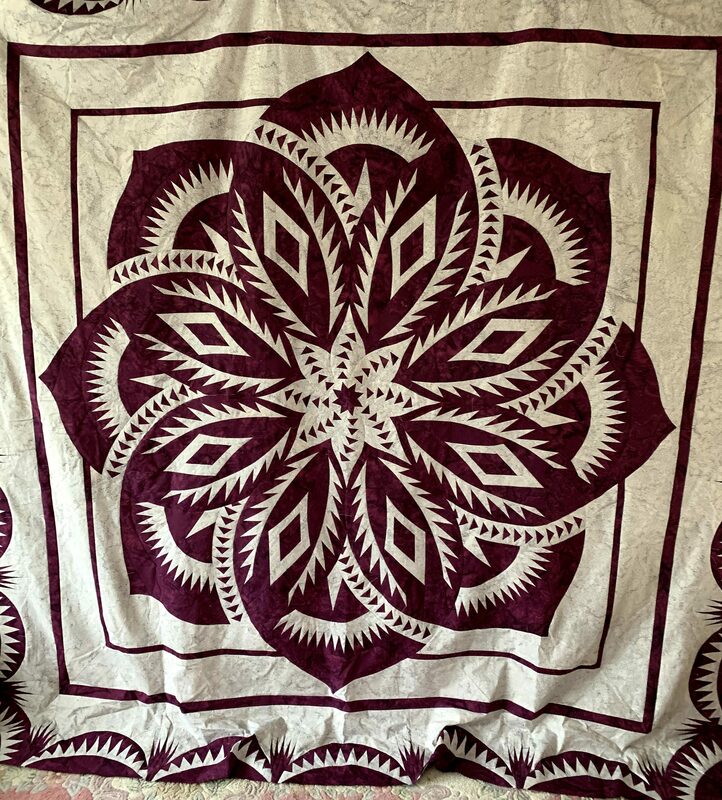 Around 2011 I saw a class advertised for a gorgeous quilt, Bali Wedding Star. At that point I had only done the most basic paper piecing and I wasn’t excited about it. But I decided to give it a try. I had never heard of Judy Niemeyer. But after that class I was hooked. Judy’s patterns are well written and easy to follow. Several years ago I decided I wanted to teach Judy’s techniques to others who expressed an interest in the stunning quilts they saw but thought they didn’t have the skills to make. It was then I decided to pursue becoming a Quiltworx certified instructor.